Diane Arbus was an American photographer known for her often controversial photographs of unusual people, including circus performers, dwarfs, twins and people with mental or physical challenges. Her photographs often provoked strong reactions from people, not the least from those whom she photographed. Arbus was born Diane Nemerov, a member of the wealthy Russek family, who made their fortune in furs. Her parents were David and Gertrude Nemerov and her brother, Howard Nemerov, would become the poet laureate of the United States. Arbus met her husband, actor and photographer Allan Arbus, when she was a teenager. A girl with a head of lustrous dark hair and large eyes, Allan often took pictures of her as part of their courtship. Diane married him when she was 18. They had two daughters, Doon and Amy. But the couple divorced in 1969 after many years of living apart. Diane and Allan began their photographic careers in the early 1940s when Diane’s father hired them to take photos of Russek’s advertisements. Allan also took photos for the U.S. Army in World War II. When the war was over, they opened their own photography studio, but Allan was the photographer while Diane was the studio’s art director. They mostly sold their photographs to glossy fashion magazines like Vogue and Glamour. But Diane decided to go out on her own in the mid-1950s. She began to study photography under the noted photographers Lisette Model and Berenice Abbott. During this time, her distinctive, probing, and rather stark style began to develop. Her work began to show up in publications that had a more journalistic bent like the Sunday Times magazine. Around 1962, she traded in her Nikon camera for a Rolleiflex, which gave her sharper images. Later, she would use a Mamiya along with the Rolleiflex. Arbus won a Guggenheim Fellowship in 1963 and in 1966. The money from the fellowship freed her to concentrate even more on her photographic subjects. She also began to teach photography, mostly in New York City and Providence Rhode Island. She had a major exhibit at the Museum of Modern Art in 1967. Her work was part of the exhibit. It was organized by MOMA’s director of photography John Szarkowski, and it was entitled New Documents. Her photographs were on display along with the works of Lee Friedlander and Garry Winogrand. Though Arbus was still available for assignments and shot a famous series profiling southern sharecroppers for Esquire, her fame as a freelance photographer was growing. 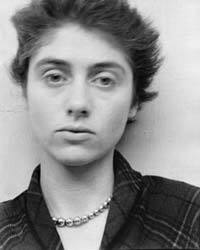 Despite her growing popularity, Arbus suffered from severe depression that was possibly inherited, at least in part, from her mother. She may have also contracted hepatitis, which would have worsened any of her mood swings. In July of 1971, she swallowed barbiturates, climbed into a bathtub of water, and slit her wrists at her home in New York City’s Greenwich Village. She was not found until days later. Mae West was among those Arbus photographed who disliked the photographs she did of her and the critic Susan Sontag disliked Arbus’ works in general, too. But Arbus was the first photographer whose works were exhibited at the Venice Biennale. This happened posthumously in 1972.